Is My Child Stable and Balanced? Yoga Might Be the Answer! Sarah Young states that “the circumstances in our lives are in flux and the world seems to whirling around us! As a ballerina spins, her eyes keep returning to a given point to maintain her balance.” We too must keep returning to that point of reference within ourselves; stillness with silence. When we practice stillness and silence as parents this enables us to provide a space of balance and stability to our children. The website Left Brain Buddha, www.leftbrainbuddah.com authored by Sarah Rudell Beach, focuses on parenting and living a balanced life. Her blog on Balance discusses that balance is a habit of calm behavior. Balance is also a verb meaning to bring to or hold in equilibrium. Life will not be in perfect balance; it is the journey to continually re-adjust while making good choices to give us a state of our own peace. Yoga is a practice in life that brings the body, mind and spirit in balance as one peaceful soul. 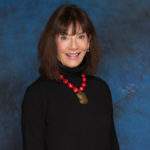 Alex Bonari, a guest blogger for Young Yoga Masters website, www.youngyogamasters.com discusses three scientific research studies; the first, no matter how healthy a child’s body may be, it can always benefit from a yoga practice. Second, static motor performance has shown to improve in children who received yogic training with postures, voluntary regulation of breathing, and maintaining silence with visual focusing exercises. And lastly, yoga games can improve attention span and memory. These yoga practices for children have all shown improved performance of right-hemisphere brain activity. The research from www.bentonlearning.org shows that yoga provides two things that children desperately need, physical fitness and emotional nourishment. Yoga regulates the nervous system by increasing parasympathetic activity (the relaxation response) and heart rate variability, while at the same time building strength, flexibility and balance. They also show that movement and stimulation of balance reflexes greatly assist attention disorders and improve reading. Stand on one leg and hop 10 times, then switch sides and hop on the other foot. Balance!! Now try Tree pose; Stand on one leg with the opposite foot at the ankle, below the knee or above the knee. It is important not to place the foot on the side of the knee. Hands are held at the heart in prayer position (palms touching) in stillness and breathe. Breathe, remembering who you are! Charlotte Connick Mabry, RYT, RCYT.